Something I missed during my spring cleaning week was a piece by Roger Kay of BusinessWeek magazine positing that Apple's growing marketshare will soon yield new computer viruses for the Mac platform. He goes on further to make the conclusion that Apple DESERVES it. 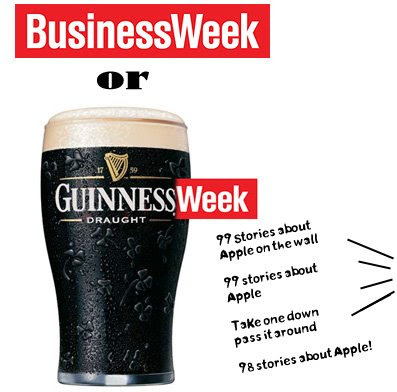 "... this BusinessWeek piece by Roger Kay is just 10 tons of stupid." "Well I read something in BusinessWeek a few weeks ago."